There is a moment during the approach of a summer thunderstorm when nature teeters on a razor’s edge. To the east, the sky is a brilliant blue; to the west, dark storm clouds boil. In between, just for an instant, everything stops. The wind dies, squirrels go still, birds cease their chattering. The air is thick with tension, quivering with electricity and the promise of the storm to come. Soon enough the wind will rise and the heavens open. But in this serene snippet of time, Nature is hushed, holding her breath… waiting. Early spring is equally on the cusp, at the meeting place of seasons. The frantic weeks when the trees and plants explode with flowers and new greenery are the future. The winter coat of brown the land still wears is the past. But now the sky is blue, and the sun is warm. On days such as these, it seems that humans and wildlife alike are filled with anticipation. Waiting. Young spring buds of the magnolia dream of being flowers. The first bee of the season dreams of the flowers to be. Waiting. Promise in a jelly filling floats in vernal bogs and pools. 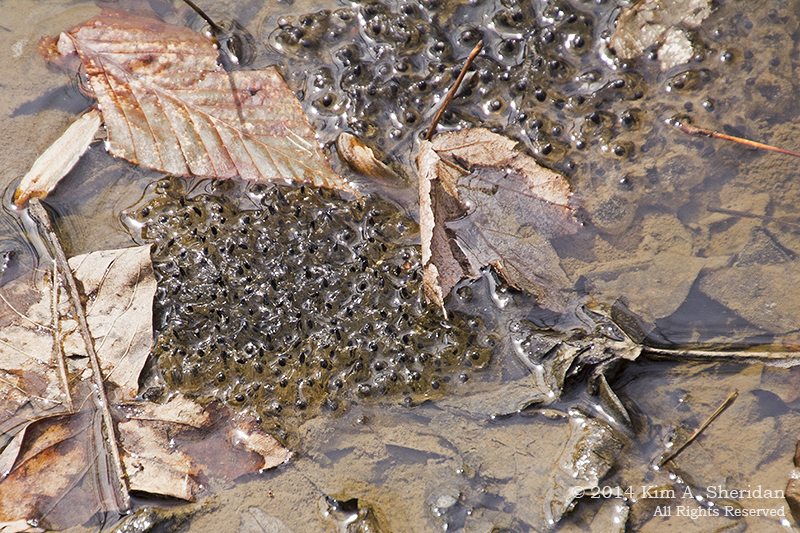 These are the eggs of the wood frog. Each dark spot holds the potential of a tadpole, each tadpole the hope of a frog. Male wood frogs, having passed the winter in a state of frozen animation, are alive and looking for love. Waiting. FUN FACT: Wood frogs make antifreeze! They survive the winter by freezing, their metabolism shutting down and their hearts stopping. A special antifreeze substance they manufacture limits the freezing of their cells, although ice does form in between the cells. 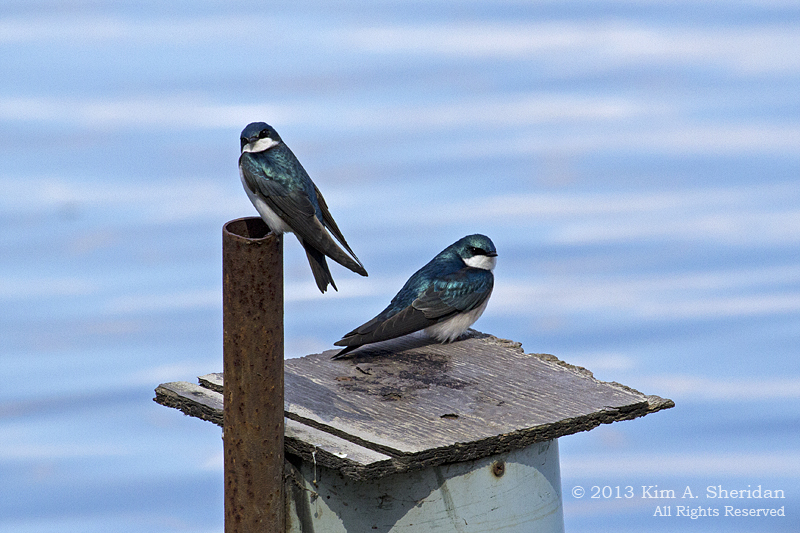 When the weather warms up, they thaw out and go in search of mates. Early blooming flowers like snowdrops, crocus, and winter aconite bring a welcome splash of color to a drab landscape. For them, the wait is over; this is their time to shine. 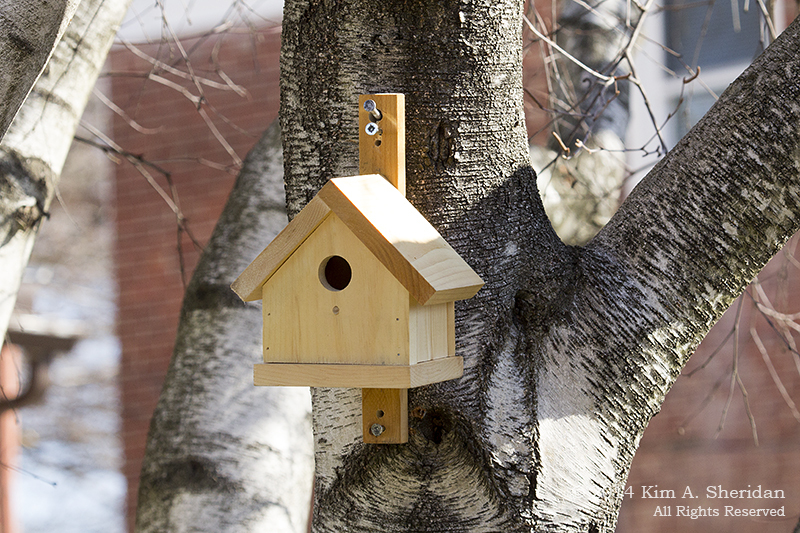 A new home has been constructed, in hopes of attracting a feathered family. Waiting. A sleepy dog in the sunshine waits for nothing, content to be in the moment. This entry was posted in Nature and tagged Amphibians, Birds, Flowers Trees & Shrubs, Frogs, John Heinz National Wildlife Refuge, Nature, Tyler Arboretum, Wildlife by Kim. Bookmark the permalink.